"One of the perks of being in publishing is getting to read advance copies of books months before they come out. Of course, the downside to this is that sometimes you wind up falling in love with a book long before anyone else you know has read it. 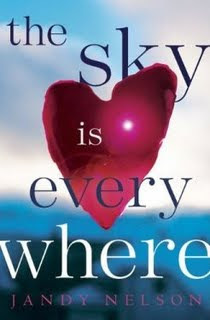 Such was the case with my favorite book of 2009, which, for the most of the world, won't come out until 2010: The Sky Is Everywhere by debut author Jandy Nelson grabbed me by the throat from the opening pages and kept me breathless until the last sentence. It's a story about Lennie, a teenage girl who's grappling with the sudden death of her sister, and of the things that grow out of the vacuum of loss. In Lennie's case, her own identity freed of her sister's shadow, as well as her the emergence of herself as a sexual being. That makes it sound a little cheesy and pat coming-of-age, but it's anything but. This book was so gorgeously written, so bursting with love, so romantic, it was riveting. It's officially a teen book, but like so much of the fantastic teen fiction coming out these days, it's meant for all ages. It is being released in the UK in June of 2010 from Walker Books. Keep an eye out for it." I read your blog with great interest, as the characteristics of the book (though not the characters or plot) sound so very much like my new release, Angela 1: Starting Over. I would invite you to read about it by clicking on my name and following the link to my web site. 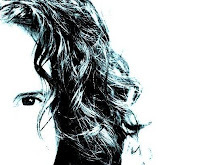 I also invite everyone to visit my blog and leave a comment if you like, at www.davidabedford.aegauthorblogs.com. Thanks!